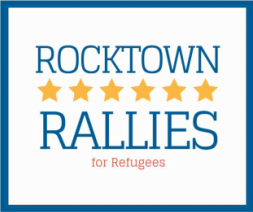 Rocktown Rallies is partnering with the Shenandoah Valley Bicycle Coalition (SVBC) to provide local refugees with bicycles for transportation. Wheels Week is your opportunity to get involved. Local bike shops will be accepting donations of bicycles and bike parts the week of August 15th - 20th, or you can make a tax deductible monetary donation to SVBC to support the Bikes for Refugees program. ﻿The SVBC accepts tax-deductible donations specifically for purchasing bicycles for refugees. The Bicycles for Refugees initiative began in November 2015 when a group of refugees in Harrisonburg identified transportation as a major challenge. For many refugees, bicycling is the most efficient and reliable transportation available. Since the Shenandoah Valley Bicycle Coalition aims to foster all forms of cycling, including cycling for transportation, building a partnership between SVBC and the CWS Harrisonburg Immigration and Refugee Office was a natural fit. The CWS Harrisonburg Office works with new refugee families interested in bicycling as transportation. 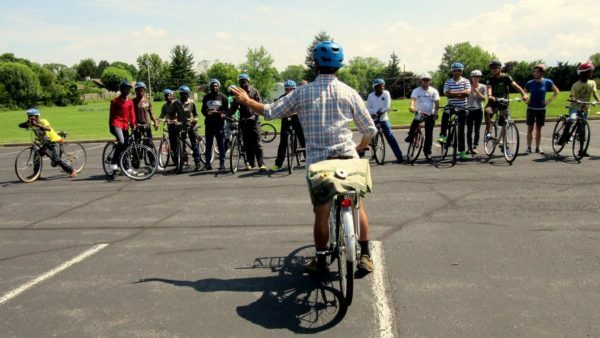 Once identified, those individuals attend a class taught by SVBC members where they learn basic bike skills, safety skills and bicycle related laws. At the end of the 2-hour class, refugees get to take home their bicycle, helmet, bike lock, and bike pump. If they want any additional help or teaching in the following weeks or months, SVBC members are available to schedule additional one-on-one follow up classes. If you speak languages other than English, SVBC would love your help teaching classes. Language barriers are one of the program's biggest challenges. If you have a professional background in bicycle repair, you can volunteer to help build bicycles when new shipments come in. Visit the Shenandoah Valley Bicycle Coalition website for more information.